As a major shopping destination in the region, Singapore houses some of the major international brands of the world. 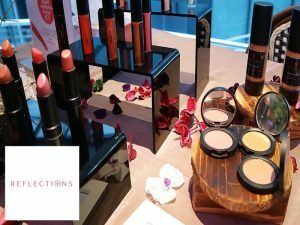 Here, you will find some of the top cosmetics and makeup brands operating across the shopping centres and their own boutiques in the island. This is one of the more popular brands to have surfaced in recent years although it has been around for a long time. 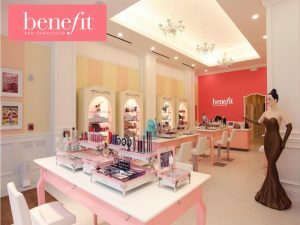 Benefit Cosmetics actually started out in 1976. That was when a beauty boutique in San Francisco was created by the Ford twins which came with an atmosphere very much like a candy store where it became the place to go for quick beauty fixes. Today, it has become a global brand which is known to be used by renowned YouTubers like Jeffree Star and Manny MUA, among them. Availabe almost in every shopping mall and department store in Singapore, this prodcut came about in 1994. Among its most popular product is the Water Sleeping Mask known for combining skincare and facial mask used before going to bed. It has been recorded that this product is among the best-selling beauty product in the world, with one sold every 11 seconds. Another product that Laneige is known for is their Two Tone Lip Bar, which has been sought after by women seeking beautiful and sultry lips. This beauty brans is very popular internationally and it is no different in Singapore. 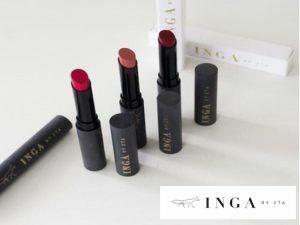 The name of a beauty expert who in 1991 changed the makeup industry with the first 10 lipsticks has a strong presences in Singapore and the surrounding countries across Asia. 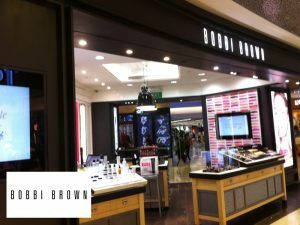 Among the products that Bobbi Brown is known for besides their lipsticks is their Creamy Concealer Kit. Innisfree has one of the largest followings when it comes to beauty products. It is known for being natural where it promotes itself as being natural as the island of Jeju. As such, customers are very happy to use Innisfree due to its eco-friendly related brand message. 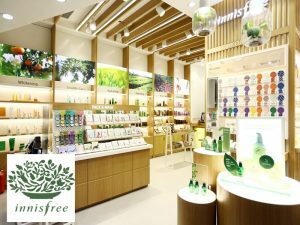 In Singapore, Innisfree has a strong following of eco-friendly customers. Incentives like benefits for members here include exchanging for loyalty points by returning their empty product bottles. This is a brand that needs no introduction. In fact, it would surely be automatically associated with beauty and makeup the moment the name Estee Lauder is mentioned. 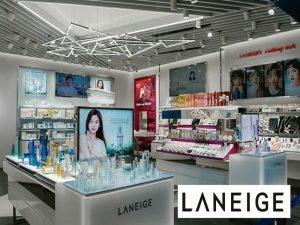 Having been around for more than 60 years, the global makeup brand is perhaps one of the most recognized with a strong reputation not only within Singapore but the world over. Among its better selling products in Singapore is the Double Wear Foundation which is probably the most popular foundations in this market. This brand has a strong presence across the world. The number-one skincare and cosmetics brand in the US is strong in more than 130 countries and it is the same in Singapore. 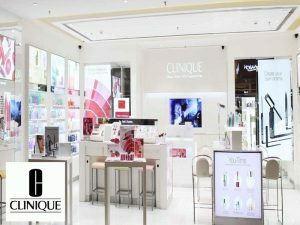 Clinique is one brand which will continuously grow with new technologies and product lines. 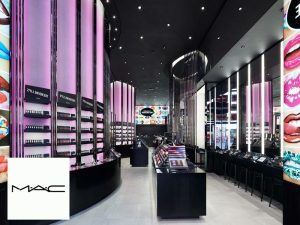 MAC stands for Make-Up Art which was started in Canada. The founders were Frank Toskan,a renowned makeup artist and photographer and Frank Angelo, a salon owner. 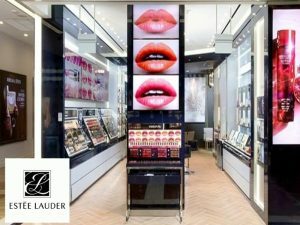 It is currently one of the leading professional makeup brands in the world with some of the iconic products like their Taupe, Ruby Woo and Twig lipsticks and is currently one of the top counters across Singapore. 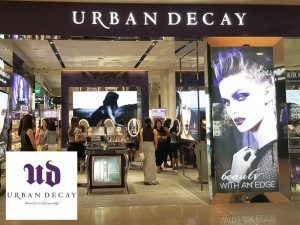 Urban Decay is another beauty brand which is making a lot of headway in Singapore. Its products of lipsticks and nail enamels are among their best selling ones while offering a broad range of other as well. Beside that, Urban Decay’s eyeshadows and their All Nighter Setting Spray are very much sought after as well. Maybelline started out as a family business before it grew and developed into becoming the No.1 color cosmetics company in the world today. 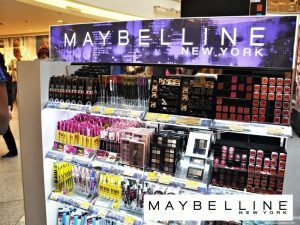 In Singapore, Maybelline cosmetics can be found in almost every major shopping mall, department stores and supermarkets. Revlon’s Colorstay Foundation and Lipstick are only two of their best selling products. Besides that, it has a full range of other products that attract its customers across Singapore. 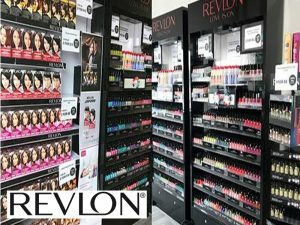 Revlon, being an international brand and very established is one of the names very much associated with cosmetics and beauty products in Singapore. 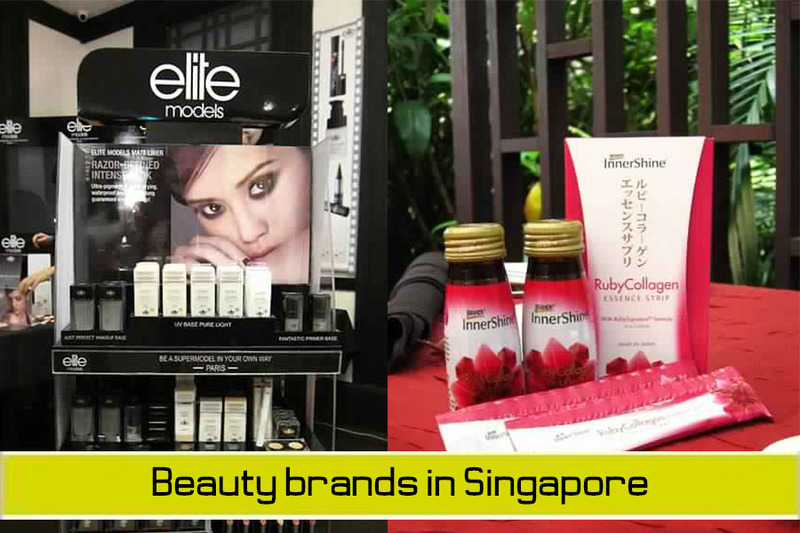 The Shiseido cosmetics brand is available all around Singapore. It has a very strong brand presence there and a large following. 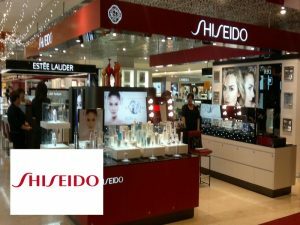 Shiseido’s face care, eye care and perfume are among its better selling products while it is known for its cosmetics and skin care as well. This Japanese cosmetics brand is no stranger to the beauty industry of Singapore and every other major markets in the region. 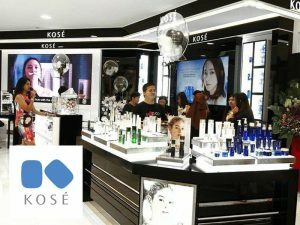 Found in nearly all the department stores and shopping centres, Kose is well positioned among its target segment here, offering superior products for skin care and beauty. One of the major local brands from Singapore, their Fauxlash Mascara Duo is among the most popular and perhaps iconic product from this company (pronounced as For Face). 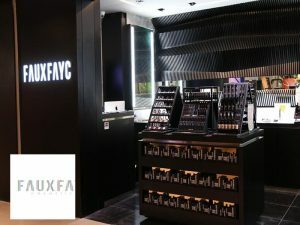 Started out as an online store, Faux Fayc has grown to become a major force in the beauty industry of Singapore having already established 2 stores and still growing. This name is the brainchild of Singaporean make-up artist Marie Soh and it is a very specialized cosmetics brand. Its matt lipstick comes in 10 shades and are supposedly designed mainly for its customers with Asian skin tones. Created by Tan Yu Hui, 13rushes is involved mainly in makeup brushes. 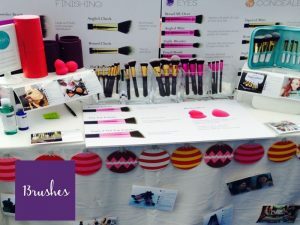 Their product are all handmade and hand-trimmed to offer brushes that are affordable and practical as it has been found that this is one item which is often overlooked by the users. This is one brand specifically created for Muslim women. Their water and oxygen permeable nail polish was designed to allow their customers to leave their nail polish during wudhu, a common practice among Muslim women. Zahara is a halal-certified beauty brand where it is known for its other products like eye and lip cosmetics as well. DrGL is actually short for Dr Georgia Lee. She is a very popular doctor in Singapore who has a list of celebrity clientele where she is among the pioneers in the aesthetics sector of the country. In her product line, there are a lot of options including blushers, lipsticks, powders and such. This brand is one of the local brands that uses only material which are gluten-free, vegan and cruelty-free. Among their more successful products are their lip glaze range, their lip butter and their very popular sun-protection powder. This is another brand which offers natural and vegan products. In Singapore, what started out as a small setup has grown to become one of the most talked-about names there. In fact, Handmade Heroes is known to have a cult following there where the range are all handmade and very pleasing. This brand was the brainchild of Erin Alessandra Jung, a popular beauty vlogger. She started the brand at the age of 16 when she was studying in Singapore after failing to find products for her sensitive skin which prompted her to make her own range without any of the chemicals which were too harsh. This cosmetics brand started out with only products for the lips before it expanded into face powders. Known for using basic food grade ingredients in their products, SUII Naturals adopts the use of Thanaka in their face powders, known to be unique among Burmese women for skin protection.